Give extra functionalities to your medical and health blog with “Divi Blog Extras”. This category layout plugin or divi blog template which works on top of Divi Theme is suitable for Hospitals, Medical Colleges, Labs, and Health Care Centers and other types of health and medical related websites. 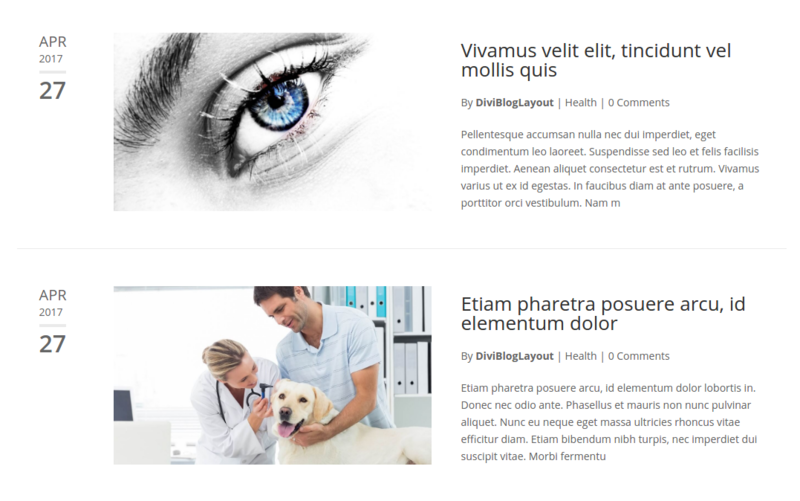 This responsive Divi bloglayout has attractive design and is perfect for most of medical related blogs and websites and can be implemented in a few clicks. There is no coding required and we can use 6 different layouts for blogs in just few clicks. 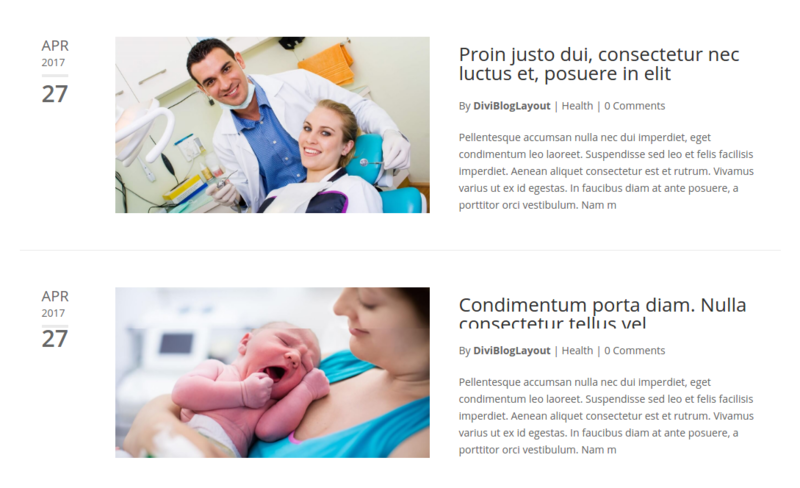 Layouts are implemented with a module built within the library of Divi page builder. Get this plugin today and add any elements from the demo with a few clicks. If you are looking for a divi medical layout or a child theme, you can also check Divi Healthcare Child Theme by Divi Extended.